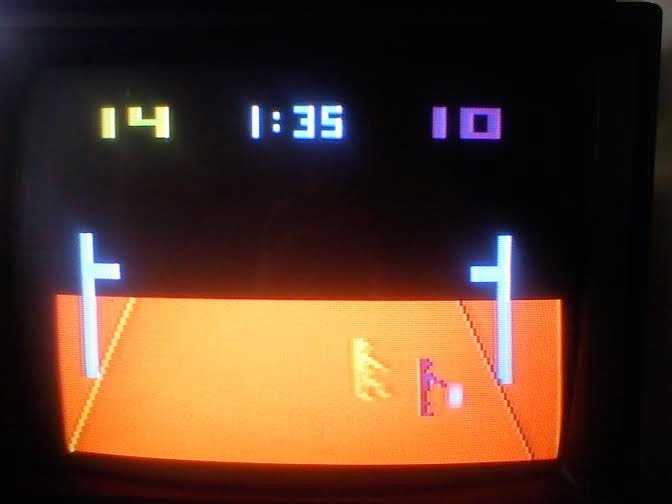 I'd like to say a flood of memories came back when I saw the game flash on the screen, and some did, but more than anything I was just happy it worked, and anxious to see if it was as much fun as we thought it was in 1978. It is. There's a lot that seems comical and antiquated about the programming and appearance, but the fun is still there. I had forgotten how the computer player begins to spazz out when you get a four point lead, and how it does this triple spin when it scores a basket, which seems like a poorer show of sportsmanship than anything you'd see on an NBA floor. I played six or seven times, and quickly realized the game is completely limited in what it can do. There just isn't much variety. Fortunately I have accumulated a shelf full of Atari 2600 games while I was waiting for the console to arrive. 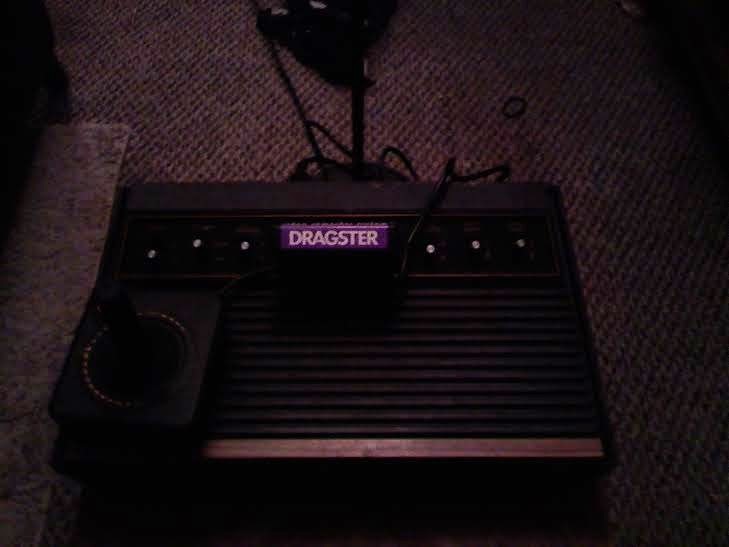 The kids are coming over tonight, and I hope they like the Atari. It's possible they will find it completely ridiculous. There's no way to explain how mind-blowing it was in 1977. Hell, it even blows my mind in 2015. I'll review some more of the games here as I start to play them.